Copper Cap Farm is farm in Kentucky that produces exquisite honey in addition to its very fast racehorses. The hills there are covered with clover and wild flowers, and the color of the honey changes as the flowers go through their seasons. The jockey is a character from the entrance sign, which we designed a few years before Sediment Press was founded. 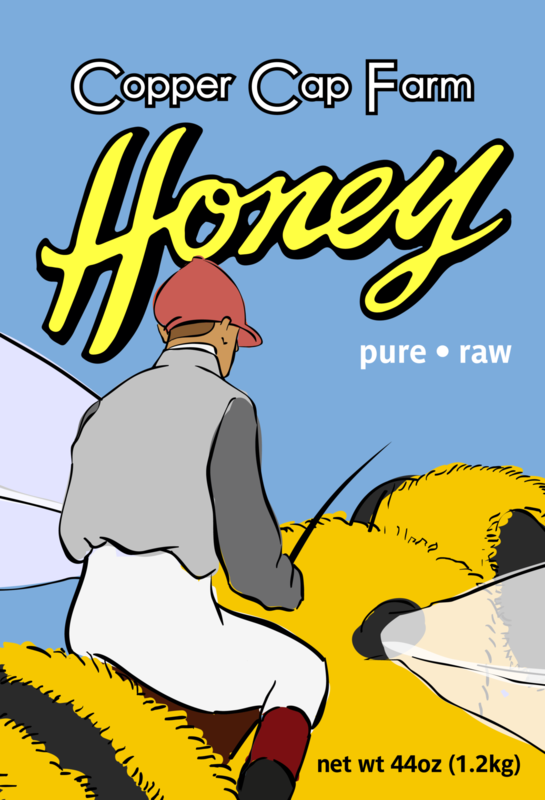 It’s still not entirely clear if the label depicts a tiny jockey or a gigantic bee.